Food is one of the main agendas that comes to mind while deciding a foreign vacation destination. 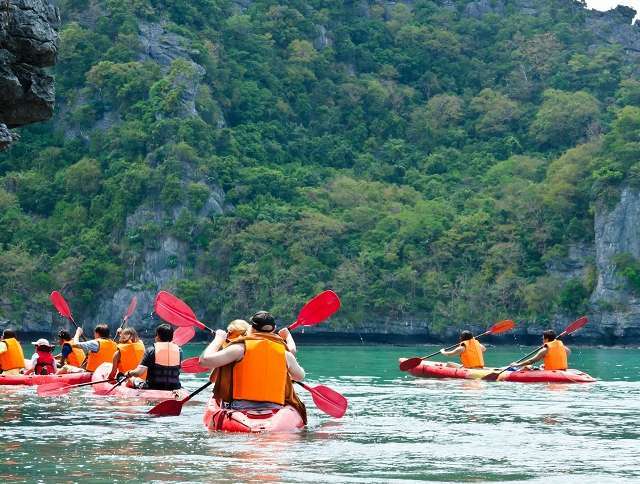 Thailand as is varied in its culture and population, also has a lot to offer to tourists in the food segment as well. Before you arrive in this mystical land be sure to keep these restaurants in your must visit list, surely you would not be disappointed. 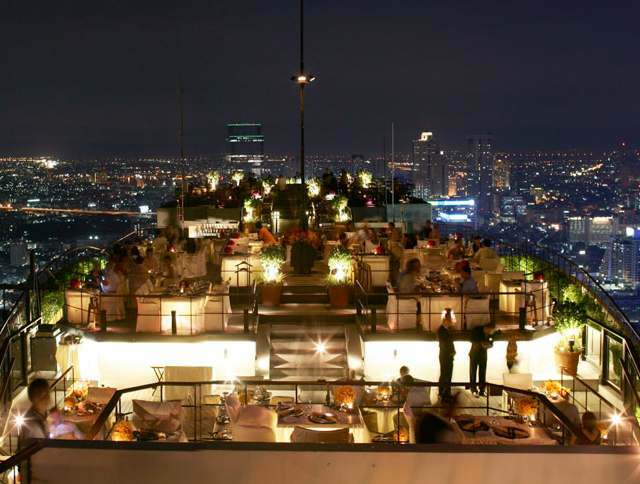 The bar and restaurant Vertigo, is one of the best known places among tourists for excellent food and amazing ambiance. 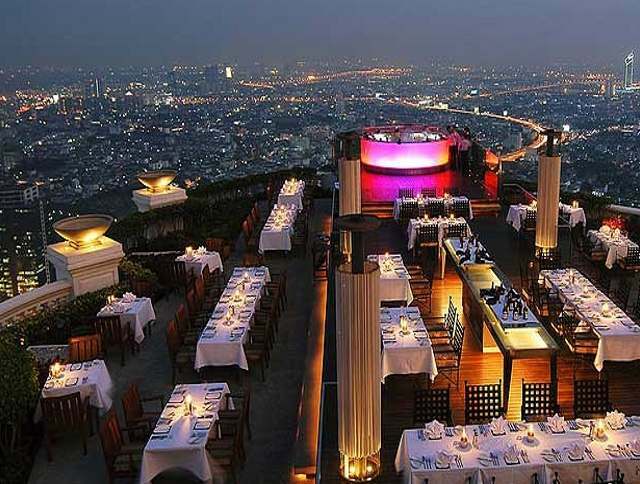 It is located on floor 61 of the Banyan Tree Hotel, on a open-terrace on the roof of the hotel. Drink & dine, as the evening sets in, on the terrace is a highly recommended experience. Besides from enjoying the wind and amazing food you will have stunning views of Lumphini Park and the rest of Bangkok. A very unconventional club, rather it is a wooden house enclosed within the surroundings of a lush green patio. Roughly a century old household its ancient staircase and wooden veranda instantly set up a romantic atmosphere all around, perfect for a romantic evening dinner. 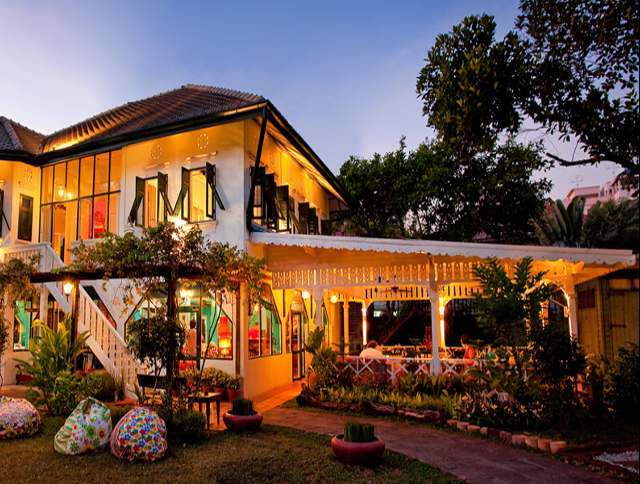 This is one restaurant that is the complete package for travelers seeking to dine in a quaint and unique way; it combines exceptional service, exceptional food and under the roof of an ancient house where all this comes together, to provide you the best experience. A new starlet on the fine dining scene of Bangkok Le Du is not to be mistaken for a French restaurant, actually the word Le Du refers to “Season” in the regional language. Although just a starlet in the wide galaxy of incredible hotels in Bangkok, it is quite promising and worth a visit. Le Du is the perfect mix of traditional Thai dishes with an international twist making it unique. In spite of such a playful and gimmicky name, whale’s belly is one restaurant that surely knows how to serve food along with a friendly wait staff and cozy surroundings. Fresh ingredients are brought in on a daily basis from abroad, which ensures that nothing but the best quality produce is served to customers. The passion and force that drive whale’s belly is obvious and helps to add a certain kind of charm to this restaurant. The best part is that every guest gets a welcome mocktail, something new everyday. Situated in Hotel Pullman, Silom; Scarlett Restaurant is located on the 37th floor and serves some fantastic international dishes. 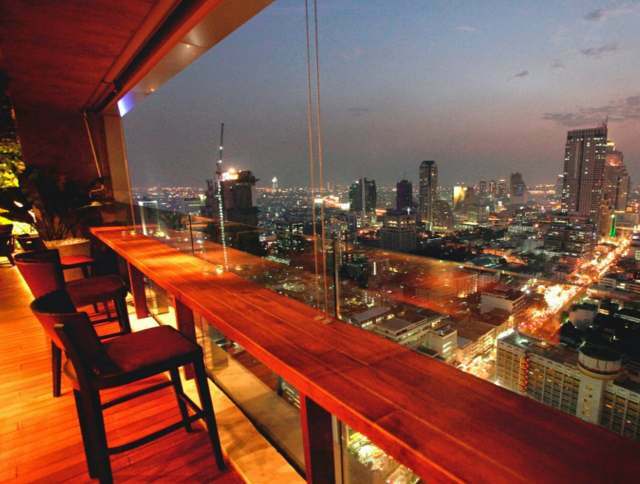 The restaurant offers amazing views of bangkok’s vast ocean of transforming skyscrapers. The very moment you set foot here, it immediately engulfs you in a cozy atmosphere making the worldly worries fade away. A must try for those who wish to experience privacy, as the soft lighting here provides the perfect aura without the necessity of partitions. 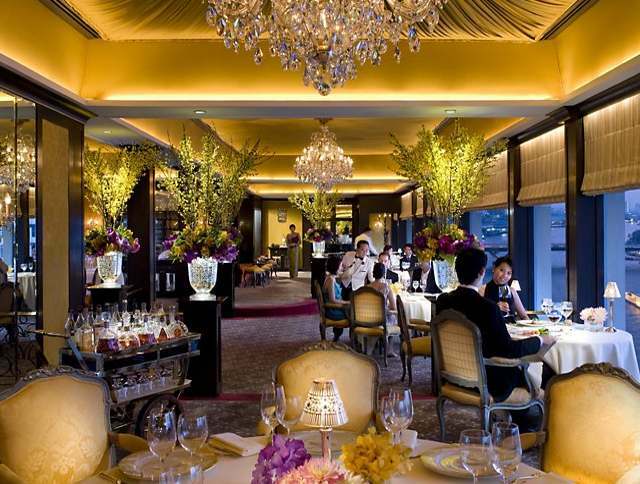 Visit these wonderful and exclusive restaurants and you will be in for the time of your life. But before anything else do remember to dress up properly as these places are very specific about their dress codes. Rest assured that you would not repent choosing any one of these. Bon appetit!